The Philadelphia Wings witnessed the meteoric rise of Flyers mascot Gritty—and they wanted a piece. 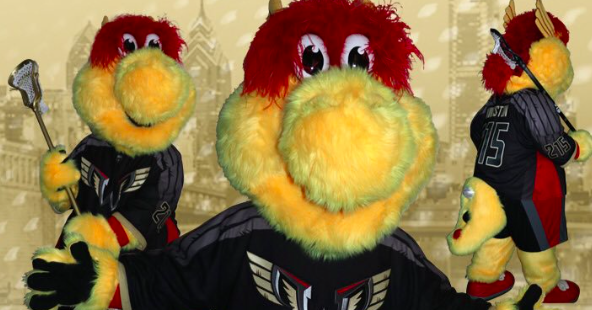 Philadelphia’s professional lacrosse team rolled out a brand new mascot of its own on Friday. Meet Wingston, who’s like a … dragon? Griffin? Prehistoric turtlesaurus? Here’s what Philly is saying about the latest addition to the mascot club. You have to get hazed a little, Wingston. Then you’re cool. Yet another new Philly mascot. I wonder if he will explode just like @GrittyNHL.